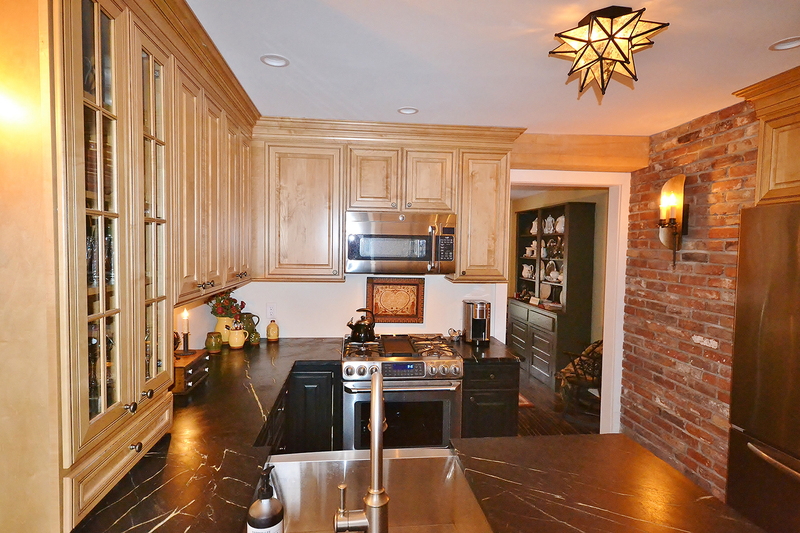 Small West Chester Kitchen with lots of charm. 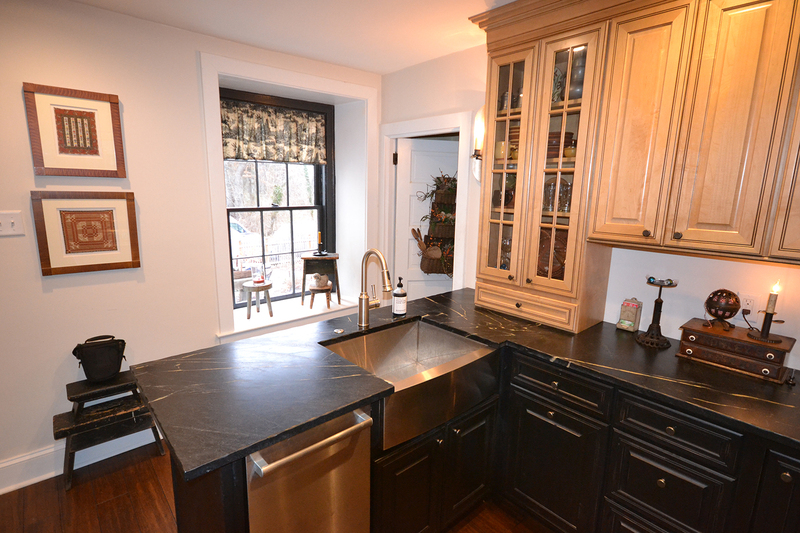 We completely removed the existing kitchen, flooring, cabinetry, etc. We changed the layout along with a doorway location to achieve a more user friendly layout. 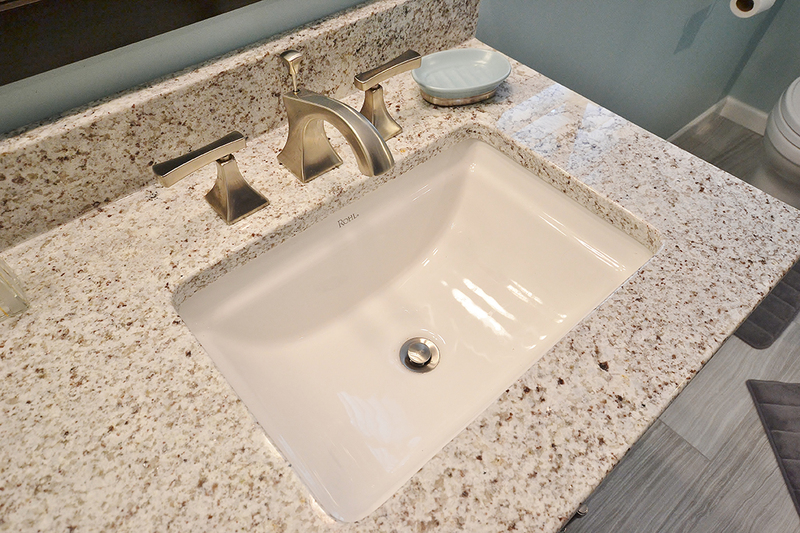 In keeping with the older charm of the home the client and our designer made great material and finish selections to perfectly tie the new kitchen into the rest of the home. 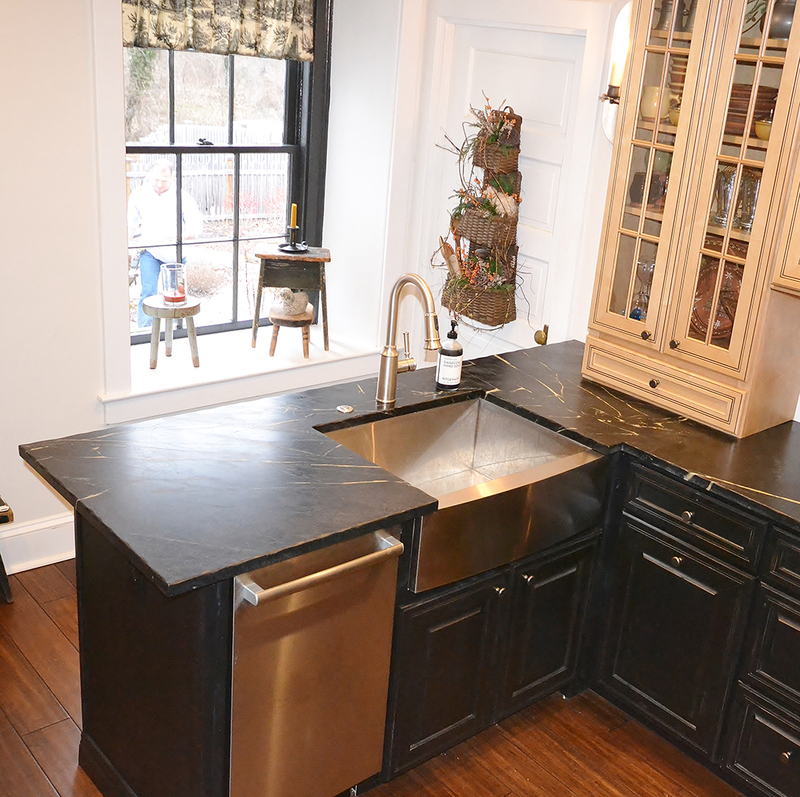 The base cabinetry in Aged Ebony finish from Kabinart Cabinetry blends perfect with the new Soapstone countertops and stainless steel farm sink. 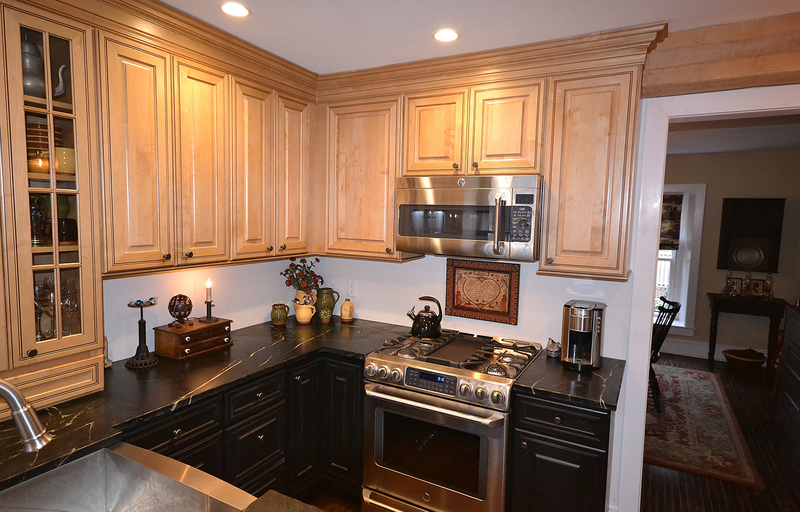 The wall and fridge area cabinetry in Honeywood Maple with Coffee glaze add a great contrast but coordinate seamlessly. 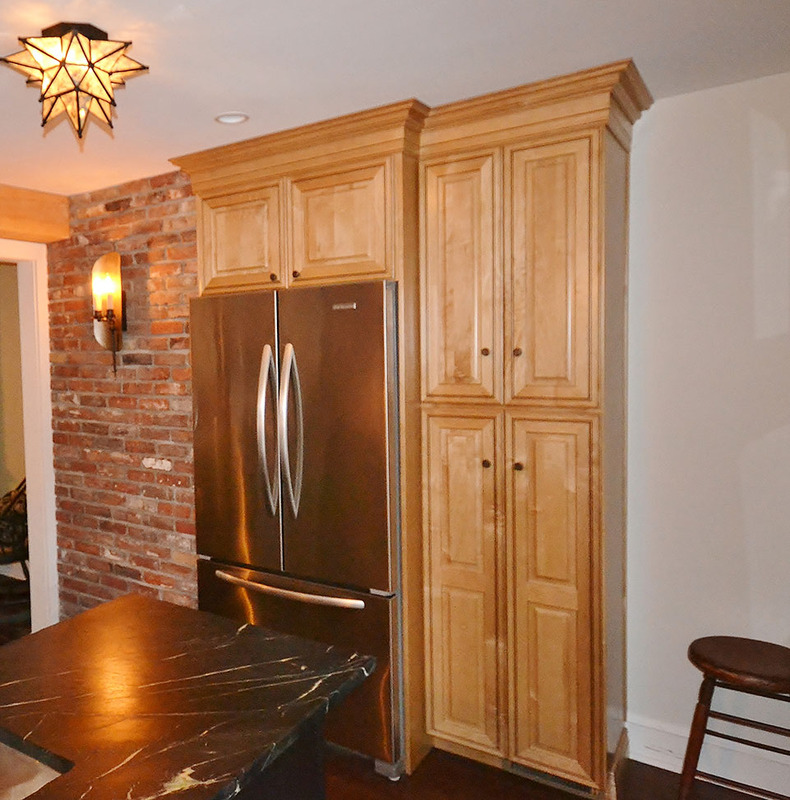 Adding a brick wall to the space along with the wall sconces really bring the whole look together. 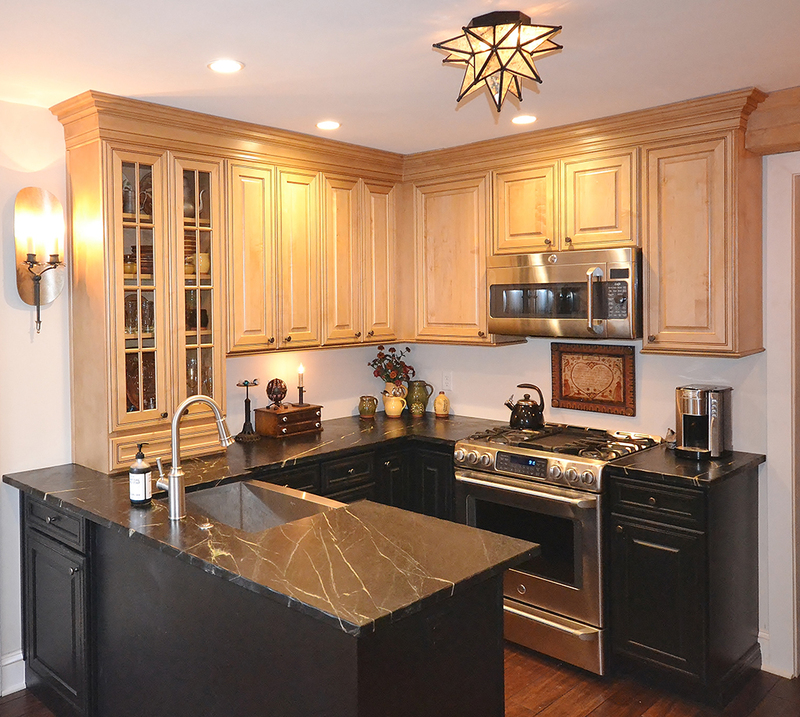 This project is a perfect example of not having to have a big kitchen to have a great kitchen. White Kitchens Let’s Do Bathrooms!